Poll: What are the best french fries? After writing my BurgerMonger blog I started to wonder after being asked by Tampa Bay Food Monster, what are the best fries? LOVE Checker’s fries, hands down. haha yesss awesome! interesting results, too. 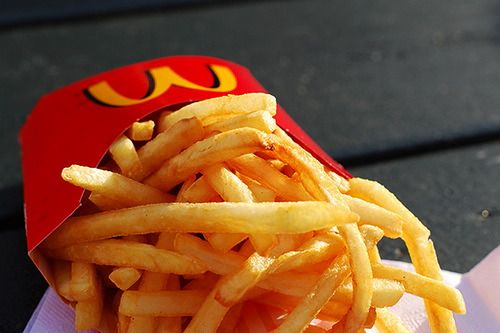 i am, and always will be, a slave to mcdonald’s fries. always good. but they’re not my favorite of all time. so far, my favorite fries in the area are from wingstop, believe it or not. theirs are somewhat similar to five guys, but they have a sugary sweet salt applied to them, giving them a unique and addictive flavor. i’d recommend trying them if you’ve never had them, just for something different.